No universal standard exists for capitalizing and punctuating bulleted or numbered lists. The Microsoft Word default is to capitalize the first word in each item, and the editors of one of my clients insist that I follow this pattern when writing for them. Another client wants me not to capitalize or insert end punctuation except for a period at the end of the final item. Lawyers tend to insert semicolons at the end of each item, an and at the end of the penultimate one, and a period at the end of the final one. None of these systems makes sense to me because they either undermine the grammatical sense underlying the content or they complicate the simplicity that lists are intended to convey. Regardless of which system you prefer, do not say or let anyone tell you (not even me) that there's a right way to capitalize and punctuate lists. All ways are a matter of taste. This system makes the most sense to me because it is compatible to Standard English rules, consistent for the reader grasping the content, and memorable for the writer to employ. During punctuation exercises in writing classes, some people want to use the dash in place of the colon and vice versa. Well, these two punctuation marks are closely related in their intention, so let's see what the difference is. Moe Coe should bring the following tools: pliers, hammer, and screwdriver. Attending the meeting were as follows: John Conn, Jane Lane, and Sandy Tandy. Notice how the following or as follows often precedes a colon. But these phrases are not mandatory, as in this example: I like Carson Larson for one reason: he works hard. Sue Du did a fine job—as she always does. Mark Dark will win—for the third straight year—the Employee of the Year Award. Here is my response: no. My response—for the third time—is no. Do you sense the difference? 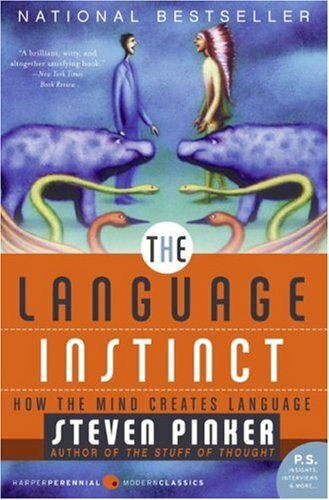 Steven Pinker serves as tour guide through syntax and language development to support his most compelling claims that all infants come into the world with linguistic ability and that grammatical rules are senseless, as they are concocted arbitrarily and perpetuated pointlessly. 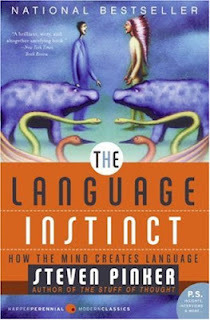 The Language Instinct launches from the deep structure linguistic theory of Pinker's MIT colleague, Noam Chomsky, to suggest that language is indeed hard wired in the brain but that it is also learned, evolving over millennia and differentiating through forces of mutation, heredity, and geographical isolation. The book reviews the function of phonemes, morphemes, words, sentences, and alphabets with a good portion examining syntax and semantics in combination. The insights a casual reader will gain from this book will result only from a careful, sometimes painstaking, study of Pinker's dense prose, which he often peppers with humor. 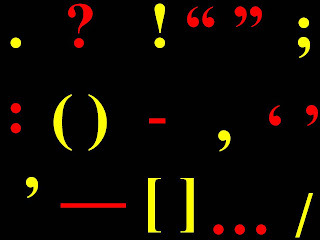 Everyone seems to have an opinion on punctuation, so I might as well admit that I have one too. All the rules are out there in countless style books, so I will avoid rehashing them and look at issues that pop up in my consulting work. I should begin with the most frequently omitted punctuation mark, the introductory comma, the comma that has prevented millions of students around the world and over the years from achieving a perfect score on their essays. Many people, especially those who were not born to the English language, learned to place a comma after an introductory word, phrase, or clause just before the subject. Fortunately, Karl will be our manager. Karl, you are the manager. If you need a good manager, choose Karl. Getting executive support, Karl became the manager. To increase his income, Karl became a manager. For now, Karl is the manager. Today Karl is the manager. Please make Karl the manager. Some writers and style books say that the introductory phrase in sentence 6 is too short to warrant a comma, but I use the comma after all introductory prepositional phrases regardless of length for consistency. On the other hand, native speakers do not pause even slightly after the one-word introductions in sentence 6, today, and sentence 7, please. So the comma is unnecessary. Click here for more tips on punctuation. In the planning stage of the writing process, the blue READ square is essential in collecting ideas for a document. Working in tandem with it is the red WRITE square, which has the writer taking notes on those gathered ideas. Next comes the drafting stage, where the READ square reminds the writer to evaluate those notes for relevance, completeness, and organization. The following WRITE square demands nothing more than a rough draft, a production of all those notes in paragraph and sentence form. The last READ square on the first line is for the revising stage, the pivotal one, when the writer decides where the content goes (structure) and how he wants to come across (style). The following READ square is a vocal one, in the editing stage, to hear how the sentences sound for fluency. If sentences seem awkward during an aloud reading, they will be to the intended readers of the document. Along with that reading comes the editing WRITE square, for clarity, conciseness, grace, and vigor. The final pair of squares on the lower left are for proofreading. Now the writer reads with a fresh pair of eyes for overlooked errors in spelling, missing words, alignment, spacing, etc. 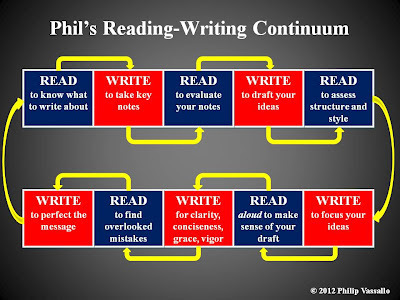 Then the continuum loops to the beginning in an endless cycle of reading and writing. All the reading in between writing assignments should help in developing subject-matter expertise and writing style. Yes, the need to read is greater today than ever before.